This is a very serious dental disease. Very few people are educated about this disease. Gum disease is the GREATEST cause of tooth loss in adults! According to the World Health Organization (WHO), 10 - 15% of the world population or 600 - 900 MILLION people are suffering from severe Periodontal / Gum disease. In plain terms this mean "inflammation of the gums and underlying bone". Marked by tender, bleeding or swollen gums, Periodontal / Gum Disease is a very real threat to many patients. 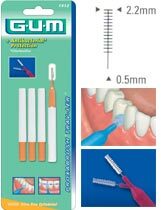 It can be localized or effects the entire mouth depending on how the patient cleans his/her gums. Gingivitis is totally reversible and good brushing and flossing will clear it up in a few days. Smoking masks the bleeding, because it reduces blood flow in the smaller veins. Inflammation*: Red, slightly swollen gums that bleed easily when touched. It is a local reaction to plague, not an infection. Ignoring the symptoms of gingivitis may lead to the spreading of this infection to the deeper layers of the BONE and TOOTH ATTACHING FIBERS. Once the infection has progressed to this level and the BONE itself is infected, it is called Periodontitis ("-itis" means inflammation). There is NO Permanent CURE for this disease. The 2 variations of Periodontitis / Gum Disease are Slow and Rapid Periodontitis . You have anything from a few years to decades before you will start losing your teeth. 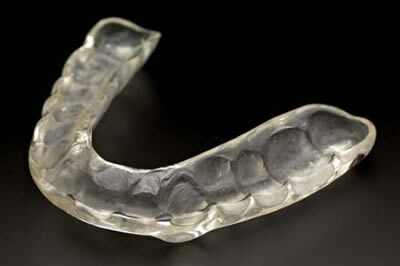 Without treatment, losing some or all of your teeth are inevitable. Only the dentist can diagnose this by measuring 'probing depth' around the teeth.Initially there are no symptoms, because gum disease happens very slowly and the patient is unaware of it. The teeth become mobile and appear longer as the gum recedes (falsely identified as part of the aging process -"getting long in the tooth"). A terrible smell is present in severe cases, called Halitosis, but the patient is unaware of this, because of the slow-developing nature of this disease. People who are diabetic have an increase risk. Smoking is one of the greatest risk factors due to the negative effect on the blood vessels in the gum. There is NO CURE for Periodontitis / Gum Disease. There is ONLY TREATMENT available that involves maintenance. you to keep your teeth a lifetime! Home care programmes (see Periodontal Programme) are a must for the patient to help establish a new cleaning routine. Drastic treatment very often means referring the patient to a Periodontist (Gum Specialist). The specialist will physically remove the debri and plague from below the gum level to stimulate the re-growth of healthy tissue. Daily flossing and brushing are essential! Make an appointment and start manage & prevent Gum Disease today!